This is almost getting boring to report each year - but here we are again. Twelve years after sales peaked the music CD format is stubbornly refusing to die. You can shutter the dedicated record shops, hide the CDs behind fondleslabs and video games in the megastores, offer the public instant access to cheaper legal alternatives - but still people go on buying CDs. 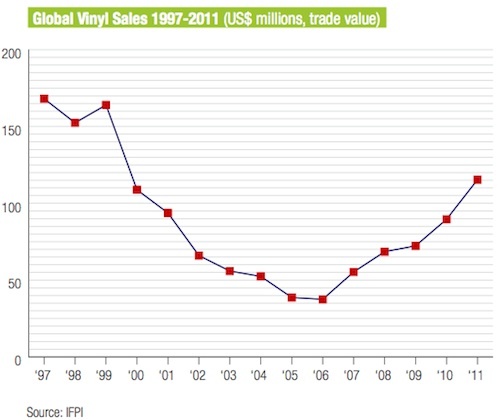 IFPI reports today that trade revenue from global sales of all recorded music fell three per cent last year to $16.6bn. Digital revenues rose eight per cent to $5.2bn, while physical revenues fell 8.7 per cent to $10.1bn. Cash from performance rights and sync rights (the latter means music acquired for movies, advertisements and music videos) rose in 2011. IFPI says strong material helped sales remain steady - singling out Adele, the British artist on an indie label whose album 21 has sold 18 million units worldwide. In Brazil revenue rose 8.6 per cent and in India by 6.2 per cent. The UK remains the fourth most valuable market for recorded music, behind the USA, Germany and Japan, despite a 3.1 per cent decline in trade revenue. Two figures are striking - digital revenue grows, but the growth is lethargic, while the decline in CD sales is lower than in 2010. The latter is slightly astonishing. Or would be if we hadn't reported this in 2011, in 2010, and in 2009 (question … answers). One point many CD-buying readers highlight is that the infrastructure matters - and the infrastructure must include ubiquitous sales points (Woolies in the old days, supermarkets today) and cheap and ubiquitous playback machines. To get the mass market sales of Susan Boyle records, the industry needs both ends to be cheap and attractive. It's nowhere near achieving that yet. Can you easily add a Spotify subscription to your Tesco shopping basket or via a simple SMS message on your phone? Can you get it bundled with your ISP account and set it up in 30 seconds? As if to prove the point, Google, Facebook and RIM have all launched music services in the last year but IFPI estimates subscription services boasted just 13.4 million paying music subscribers worldwide by the end of last year. Two years ago Martin Goldschmidt, Cooking Vinyl label MD, emailed us an interesting prediction. After pointing out (as many of you did) that CDs are the most durable transport container for music on the market, he wrote: "I would also dispute your point that the CD will die; it will actually become a minority (non-mass market) format in the way that vinyl has." 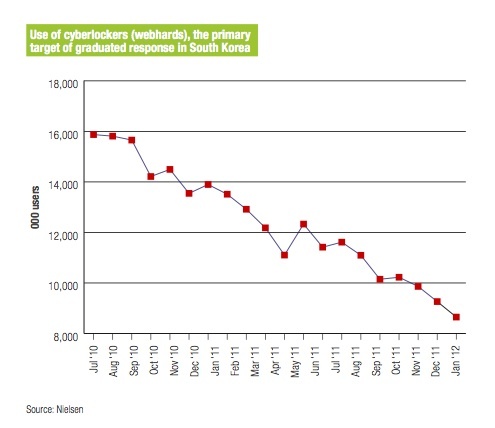 As for online piracy, IFPI cites France and Korea as places where an element of risk has been successfully introduced to infringement as a deterrent, whereas in much of the world pirating music remains easy and risk-free. 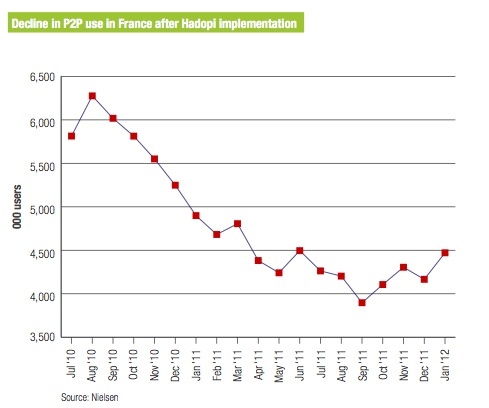 The Korean example is more convincing - it's too early to gauge the effect of France's Hadopi law on music revenues. Ultimately it's really about the bigger picture.